They get down to work, carving into two immense blocks of stone that have concealed the secrets of an ancestor of modern-day crocodiles for some 200 million years. Jonah Choiniere and his team from Johannesburg's Witwatersrand University had tracked the reptile from another age for three years. The search brought them to a stretch of farmland in the central town of Rosendal, where they are surrounded by cattle and impalas. "In 2015, one of my students just saw a few (fossilised) bones coming out," said Choiniere, his shirt sticking to sweat from the morning's hike. "We started to excavate it and we brought it back to the lab and it turned out to be a hip of a species we've never seen before," said the palaeontologist, who is originally from the United States. The delicate excavation process at the site is grindingly slow and continues today. Before being extracted, the stone surrounding a fossil is carefully enveloped in a protective layer of plaster. After five hours of drying time, the stone is chiselled free, lifted by three strong people, and then transported by road nearly 300 kilometres (185 miles) to Johannesburg into the expert hands of Wilfred Bilankulu. "My job is to make the fossils visible," said the former fine arts student. "I'm taking off the jacket that has been put in place around the fossil, and after I prepare them using dental tools." 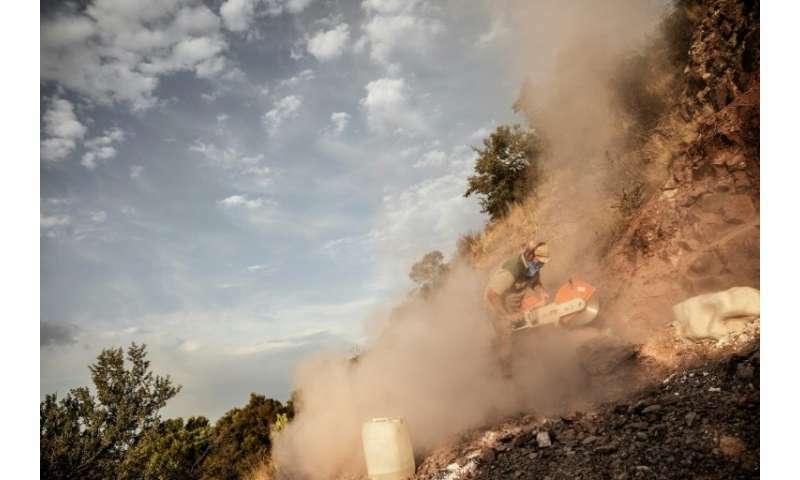 The herculean task will take between eight and 12 months. A similar amount of time will be needed to meticulously examine, compare and describe the find. Choiniere expected a bountiful haul even before he had the discovery in hand. "This is a pretty good harvest for us. We didn't know what to expect when we came into this quarry... I can say it's much better than what we were expecting, very promising," he said. Given the bones already uncovered, Choiniere's research student Rick Tolchard can barely hide his excitement. He knows he is in the presence of a rare specimen, the improbable forefather of the crocodile family which today stalks African waterways. "Two hundred and fifty to 200 million years ago, these animals were the dominant land carnivores and they were found all over the world... (but) in South Africa we don't have a record of them," he said. "Some of them were, I imagine, sort of like a crocodile crossed with a lion, a very large quadrupedal, legs under the body, with these massive big jaws—a very intimidating animal. "The one here would have stood on his hind legs, it would have looked more like a theropod dinosaur, almost like a raptor." 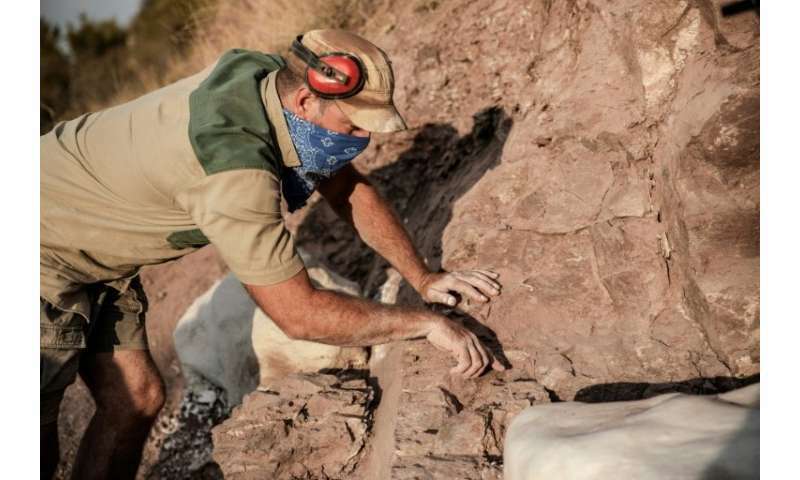 In recent years, South Africa has become a top destination for dinosaur hunters. 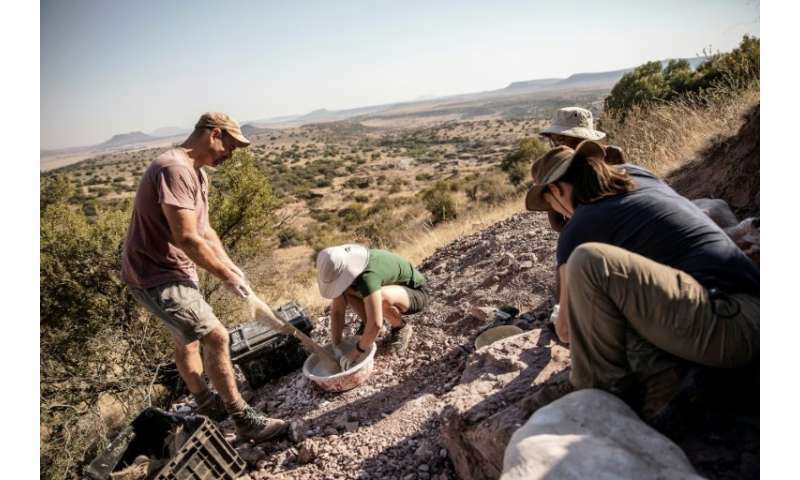 Just an hour's drive from the Rosendal farm, Choiniere's team has already unearthed fossils belonging to a newly discovered type of dinosaur that roamed the earth 200 million years ago. Measuring four metres (13 feet) to the shoulder and weighing 12 tonnes—twice the weight of a modern elephant—the giant herbivore known in the local Sesotho language as Ledumahadi mafube ("a giant thunderclap at dawn") shook up the family tree of extinct monsters. Choiniere said it could well be "the first of the true giants". The beast is a forerunner of the 60-tonne sauropods familiar from Steven Spielberg's blockbuster "Jurassic Park" series. Experts say the southern tip of Africa is an ideal place to study the transition between the Triassic and Jurassic periods, when mass extinction events shaped the evolution of the planet. 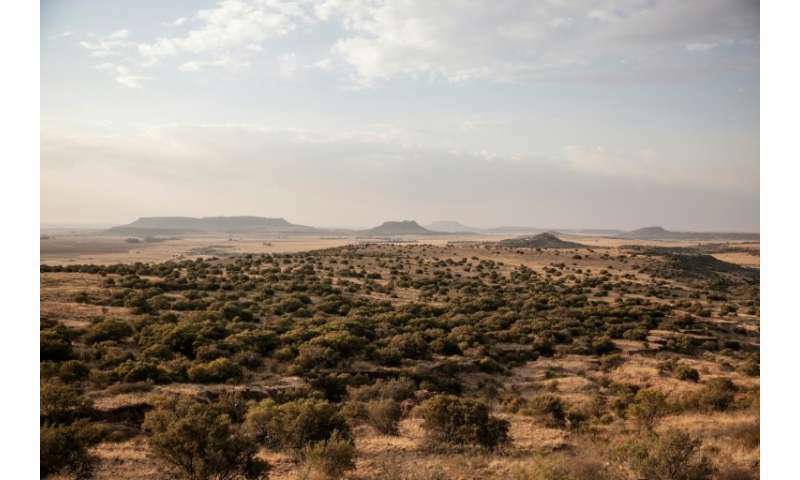 "One of the reasons is that about 66 percent of the surface of South Africa has fossils on it—there are a lot of fossil-bearing areas," Choiniere said. "We don't get much rainfall, especially in the interior, so we have areas that erode rapidly—and that erosion exposes fossils." "It's phenomenal, it's really great," said palaeontology masters candidate Cebisa Mdekazi, a young student flying the flag for the next generation of South African palaeontologists. "It also instills pride for your country—you have all those amazing things in our country, and we can show the world." Her professor, Choiniere, is far from finished with South Africa. "Every time we go out into the field and we dig something up, there's a pretty good chance that it might be something new," Mdekazi said. "It's dinosaur country, and there's no way we'll ever finish the work in my lifetime."